Autumn is the best season for tech lovers. As the leaves fall off the trees, great new gadgets fall from the sky. 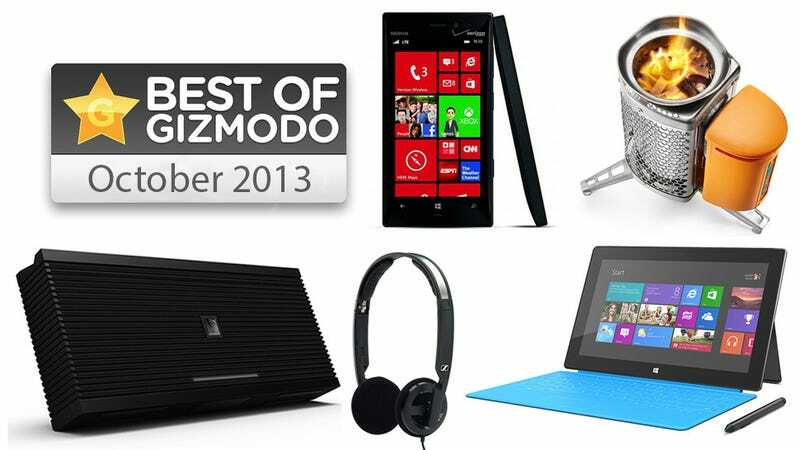 We raked through the pile of new gadgets that came out in October. Here are our favorites. We loved the Paperwhite in 2012, and the 2013 model gave us even more to swoon over. The screen is brighter, the lines are finer and the reactions are faster. The "special offers" advertisements on the lock screen, and the $30 ransom to make them disappear, are our only real complaints. It's probably not different enough to justify upgrading if you've got a 2012 Paperwhite. But if you don't have an e-reader, and want one, this is the one you want. The Force adds things that were sorely missing in Fitbit's Flex, like an altimeter, and the wrist-worn format is more convenient than a pocket widget — you can wear it 24 hours and never worry about accidentally sending it through the washing machine. Our testing showed some questionable results when measuring sleep duration, but otherwise this is the most convenient fitness tracker out there right now. A $1400 (body only) pro-style mirrorless camera with a 16 megapixel micro four-thirds sensor, the OM-D E-M1 is a serious investment to be sure. But if you want the experience of a professional camera without the bulk and weight of a DSLR, this is the camera to get. Nothing else offers the same level of ergonomics, customizability, and durability thus far. This 7 inch beauty does everything a small tablet should do, with fast reactions, great speakers, and a stunner of a screen. And that smooth user interface and powerful guts means it'll run any app you throw at it. We think it's the best small tablet around — though with the new retina iPad Mini coming, we'll be curious to see how the Kindle competes.